German Army Flecktarn Combat Trousers. 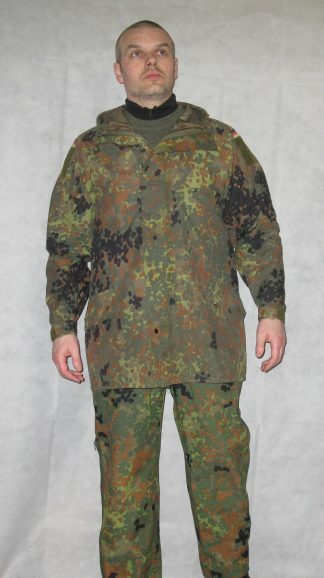 In a recent scientific survey of several versions of camouflage, it was concluded that the fleck pattern used by the German Army was by far the hardest to find. To clarify, the very scientific study was not trying to “find” the patterns as in “where are my keys?” to which I respond “wherever you left them dear”. But rather to assess which pattern blended most into a backdrop of seasonal foliage. 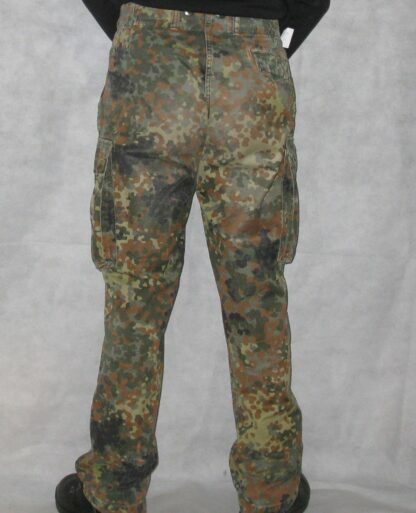 This was carried out in the extremely scientific way, by throwing a variety of garments with various patterns of camouflage over the hedge and asking several volunteers, located at several locations, to spot the said garments. 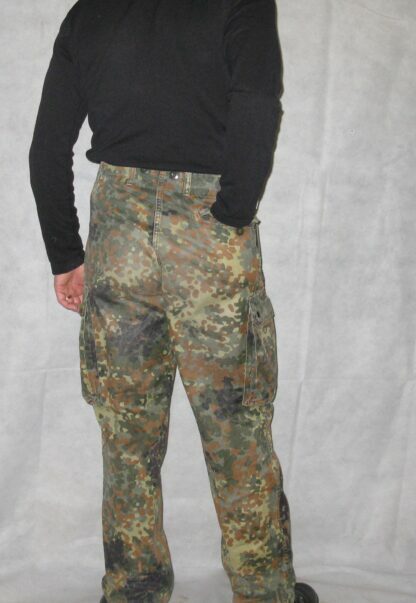 It turns out that the Fleck pattern is hardest to find. The German Army Flecktarn Combat Trousers are made from a strong and durable polycotton fabric. 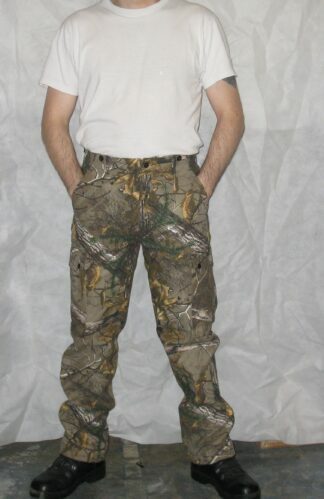 The fit is comfortable with plenty of room for movement and with the soft feel of the fabric it is a nice place to have the bottom half of your body in. Plenty of pockets for carrying both essential and not so essential articles, two hand pockets, one button closed hip pocket and two cargo pockets. 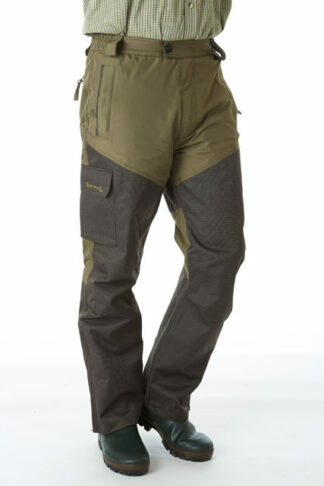 The cargo pockets are slightly bellowed so can carry quite a bit, the flap has two strong pop stud closers and within the right hand side cargo pocket is a knife/pencil pouch. 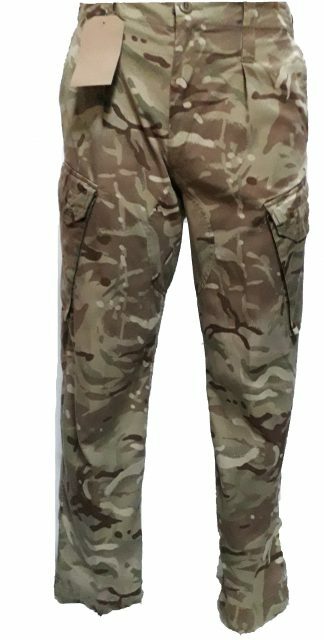 Very comfortable to wear, popular with outdoor enthusiast due to their durability, ideal for hunting, fishing, paintball, airsoft or any activity in which you need a comfortable pair of trousers. 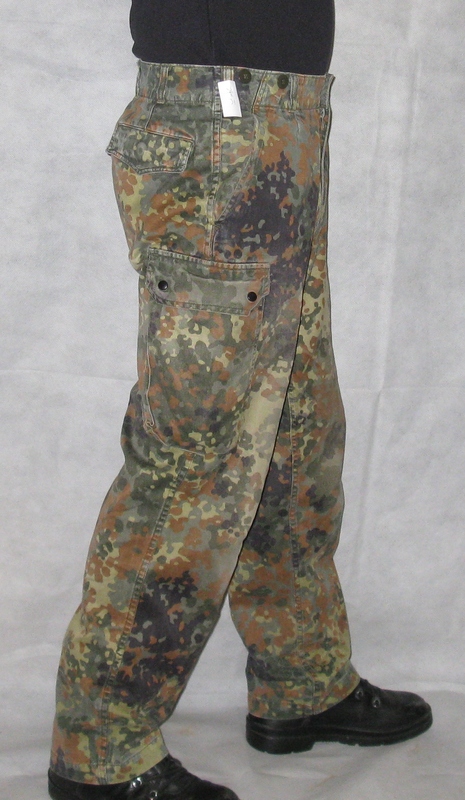 German Army Flecktarn Combat trousers are very easy to maintain, they can be washed in a warm wash and will dry fairly quickly despite their heavy durable nature. 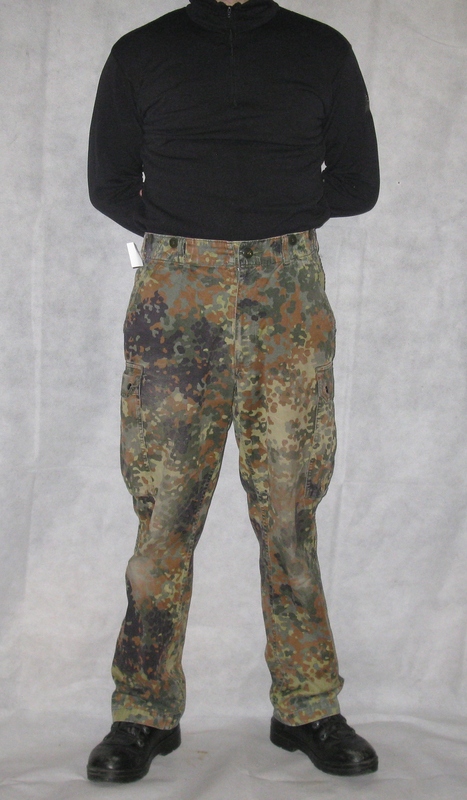 Also these German Army Flecktarn trousers have buttons around the waist, which are for braces to keep them up. 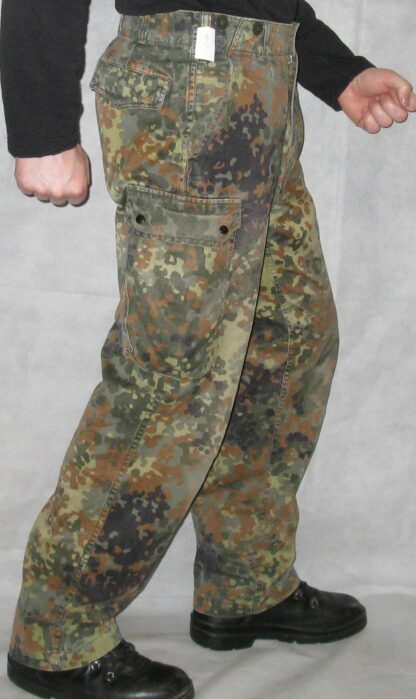 Belt loops, so you can have a belt and braces, it doesn’t get much more secure than that. These German Army Flecktarn trousers are genuine military issue and have been used, all are in perfect condition. 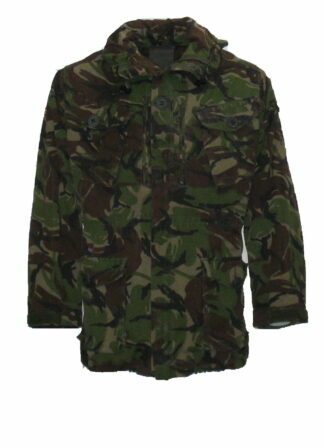 We have hand selected the best, you are guaranteed the best quality genuine vintage army surplus when you shop with us. 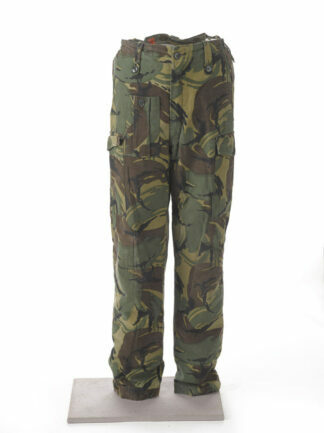 Well pleased with these and seem heavier drill cotton than ones I’ve bought else where.